Wow. 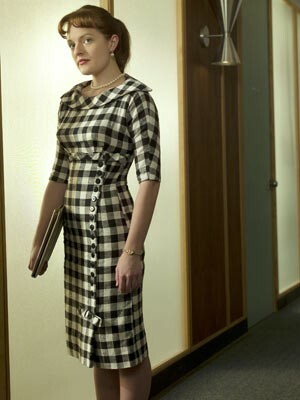 I was so late to the Mad Men party that I've been playing catch up ever since! I've had the DVD of Series 1 for 3 years?! I only started to watch it because Sky Atlantic started showing it from the beginning. Even then, I was a slow starter, not really feeling the power of it until Season 3. And then it hit me. I had my favourite character (Peggy), most hated character (Betty / Pete), and just swooned over the styling and the story lines, and the American Dream as each episode slipped past me. The first week of living in my new home had me with no telly - what better time to immerse myself into a TV series that is so well written, well acted, and so well styled. As a result, it's been having an effect on my fashion choices recently. I'm going to ask my Grandma to see if we can move some buttons, if not, it'll have to be sold - I didn't check the sizing chart, so it's all my own fault really that it didn't work out as well as it could have done - which is why I've included the picture above for comparison purposes! So my little nod to this? 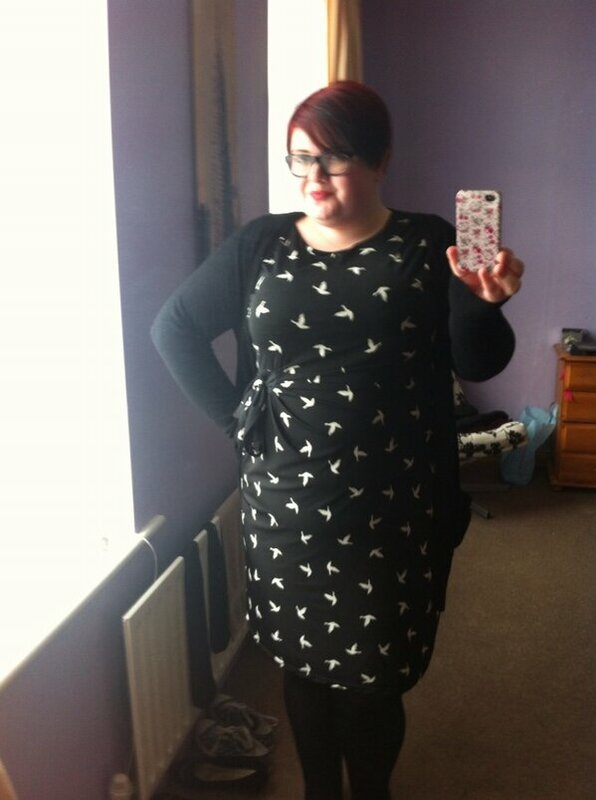 My Clothing at Tesco's Swan print dress from December 2012. And you know what? My addiction to Peggy's style is no bad thing - look where it got her. It got her recognition, and position. All those dresses are amazing, especially the purple one. You look great in them all. I need to get on the Mad Men bandwagon once I am finished with Greys Anatomy lol.